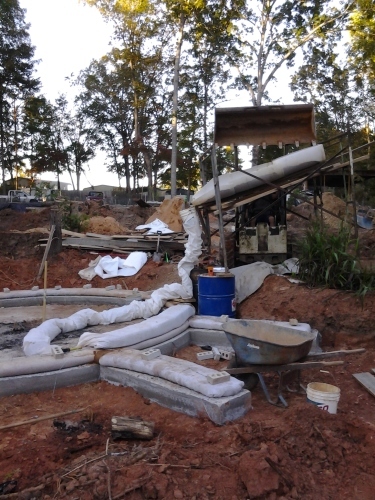 Come help build the first earthbag structure in the Upstate of South Carolina and learn the techniques of building an earthbag structure. Free Lunch and Beer for volunteers. Workday start around 10:00 and end around 5:30. If you can’t come for the day, stop in for half a day. Evening drum circle are always a possibility, there are several campgrounds near the build site, some onsite camping maybe available. We will be working from now until the structure is complete (approximately Nov 1st).